At the musical heart of Colorado's New Life Church is the Desperation Band, originating as a student music ministry, now grown into an international worship favorite. At the musical heart of Colorado's New Life Church is the Desperation Band, originating as a student music ministry, now grown into an international worship favorite. This thirteen track set blends intimate worship ballads, dance-friendly electro-pop, and driving modern rock, composed by some of today's finest worship songwriters. 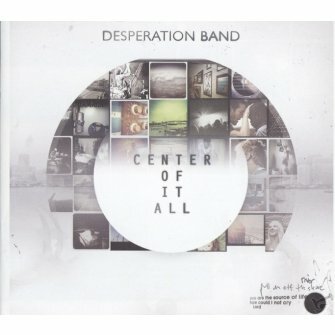 Center Of It All is a sonically diverse album unified by sincere worship, including "All To Him," "You Are The Glory," "Take Me To the River," and more.